When you have the highest priced yearling at the Perth Magic Millions Sale there's a lot of pressure on the stable to demonstrate the value! Well Samizdat did that and more at Belmont on Saturday at his first ever race start. The Not A Single Doubt gelding is a half-sister to the top line mare Samovare and unmistakable on the track. A massive chestnut with a white blaze, he looks like an athlete and runs accordingly. On Saturday he was first-up against a top class field of experienced 2 year olds and drawn a wide barrier on a wet track. For a first up assignment it doesn't get much tougher!! Jockey Shaun O'Donnell never panicked, settling down Samizdat near the tail. As the field rounded the final turn he pulled him out to the middle of the track and then the huge effortless stride of the gelding came into play quickly gobbling up the opposition. Hitting the front with a furlong to go, Samizdat had time to stargaze however Shaun got his mind back on the job and he won with something in hand. It was a huge relief for Michael Gangemi who picked out the colt at the sale and breeder Peter Walsh who retains a large share. 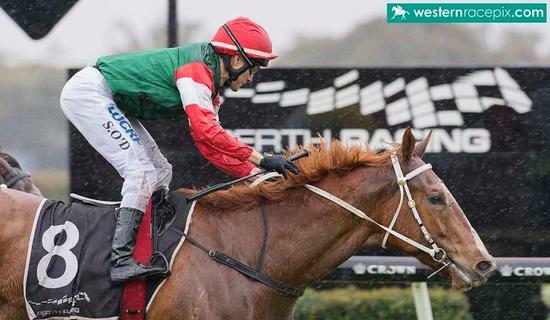 The big plans for the gelding include major feature races over the Ascot Summer Carnival and there's no doubt he will measure up to the very best.